How Closely Were You Paying Attention To BB17, Week 3? Question: Why does Johnny Mac think Liz has a twin? Answer: The first "Liz" has a crown on her "number nine tooth"
When Jeff, Jason, Jackie, and James were trying to figure out if Liz was playing with a twin, Johnny Mac thought of a tiny, unchangable detail to test their theory. 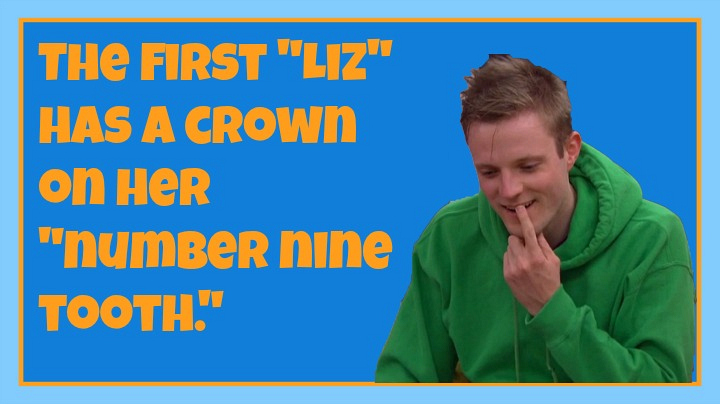 When he first met Liz, she had a crown on the "number nine tooth." Maybe now people will finally stop doubting that Johnny Mac is a dentist.